• Leaders interested in developing team motivation and willpower. An extremely important topic and a good summary. It's a great book. I helped. Alot. Great book about Emotional Intelligence. It says how important is to talk about feelings and how they influence our routine, dealing with them looking forward to be better. Jeito interessante de descrever uma área tão comum e ainda tão complexa... Vale a pena ler! 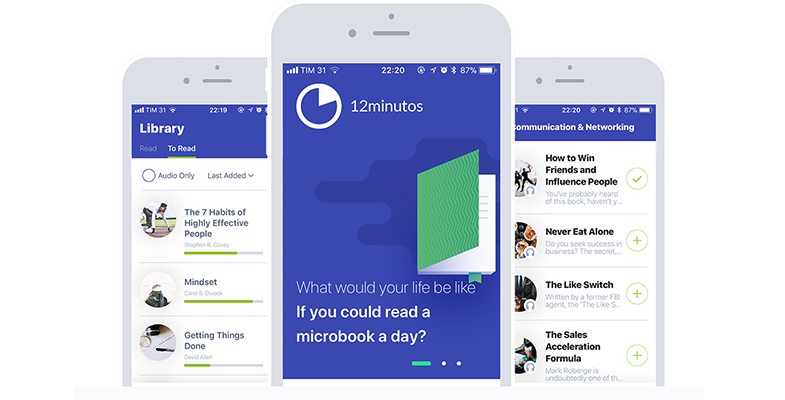 Emotional Intelligence is now available in the 12min app! Download now and read for free. Emotional Intelligence is now available in the 12min! The microbook based on Emotional Intelligence is already available on 12min. Leave your email and you will receive a invitation to download the 12min app. Our app is available for iPhone and Android and in it you will find all our microbooks in text and audio. By registering, you get 3 days of unlimited access!